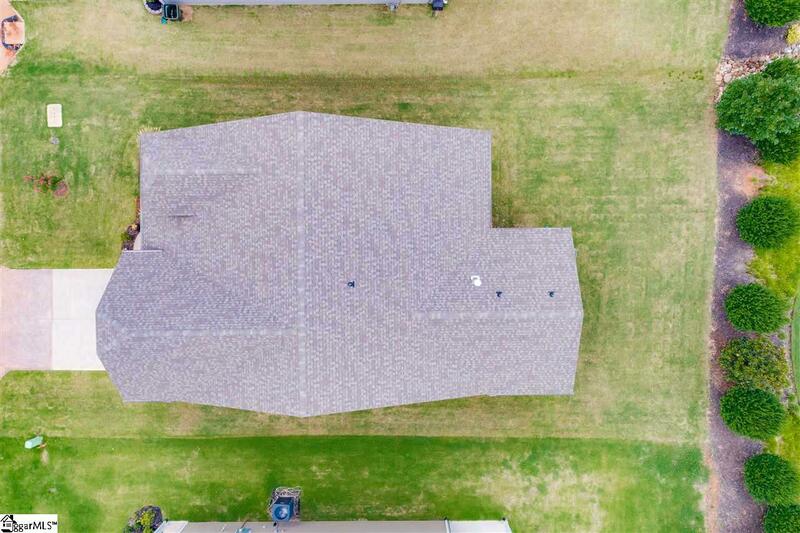 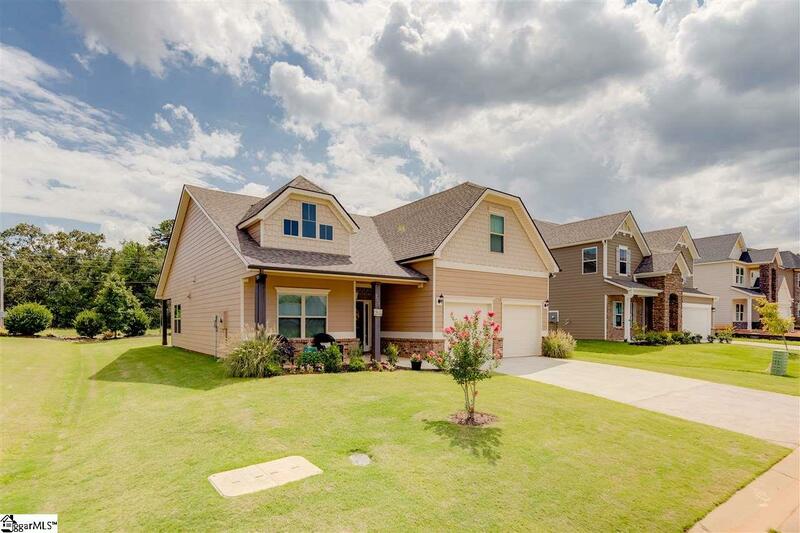 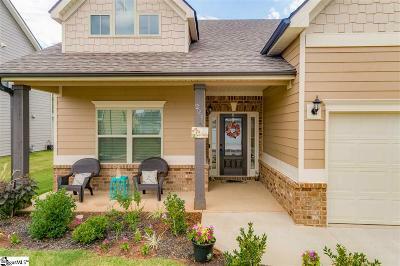 Come on out and take a look at this stylish, open floor plan (approximately 2,179 sq. 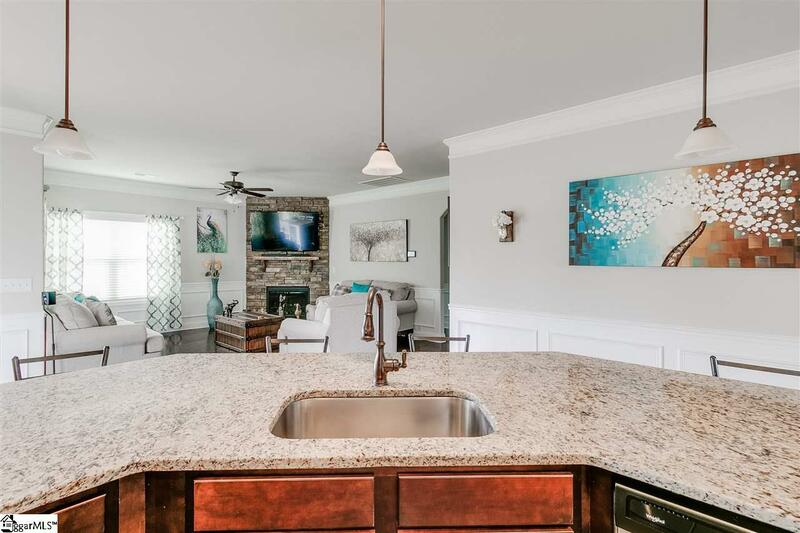 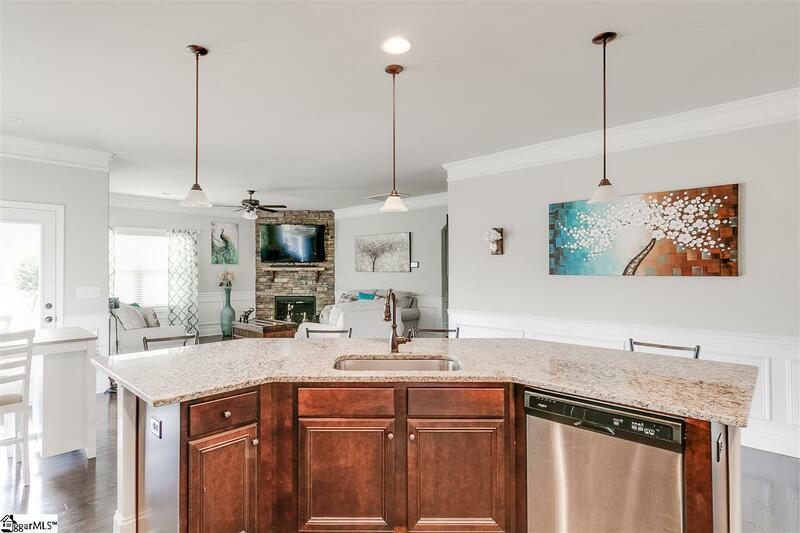 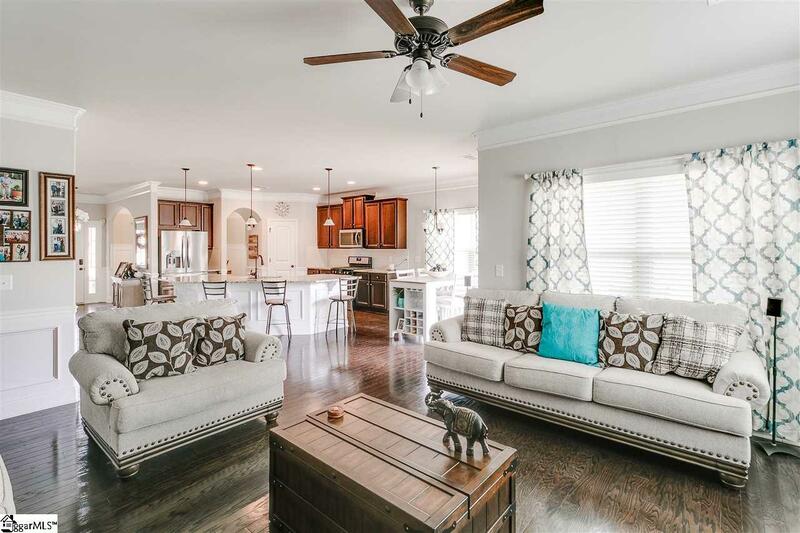 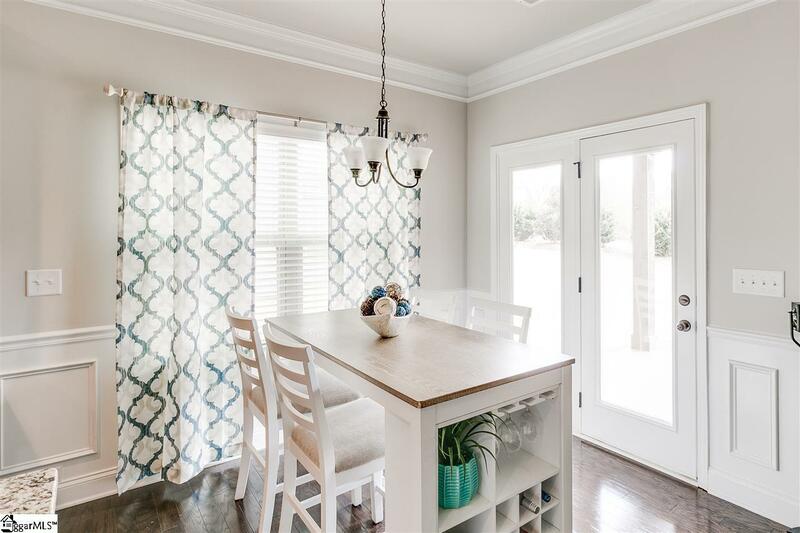 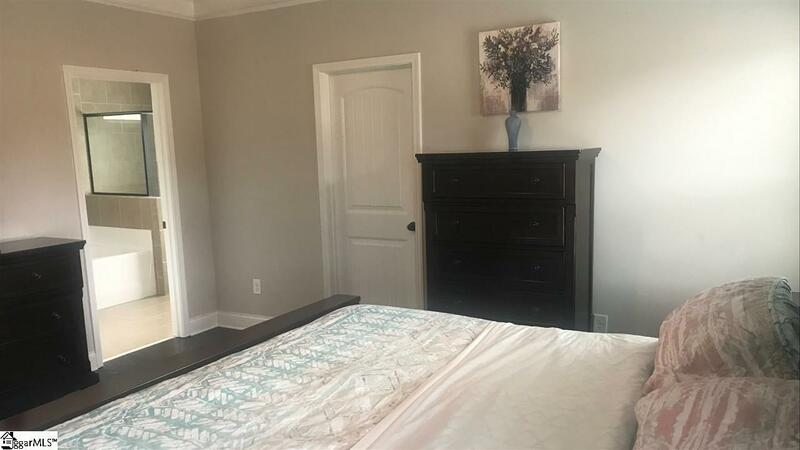 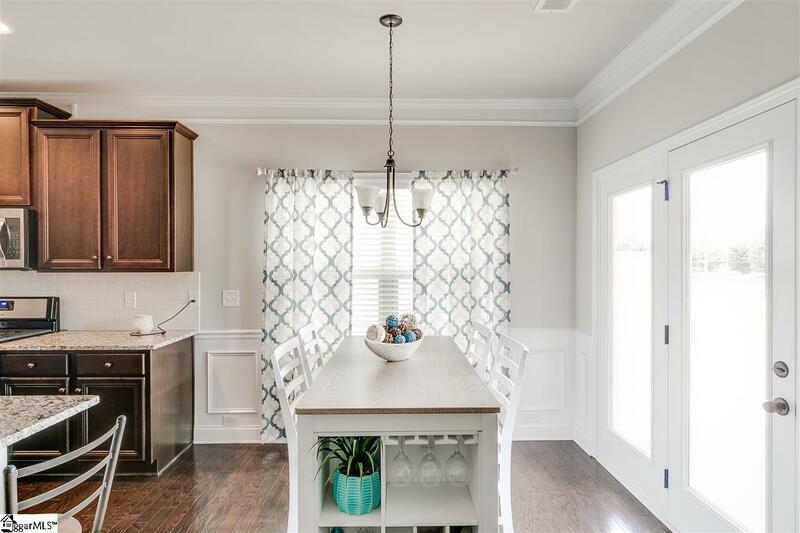 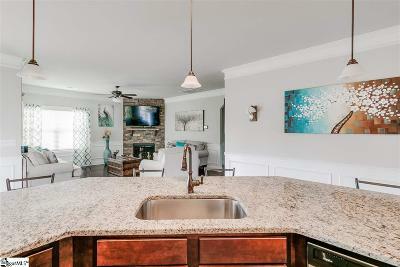 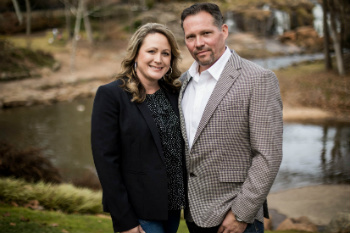 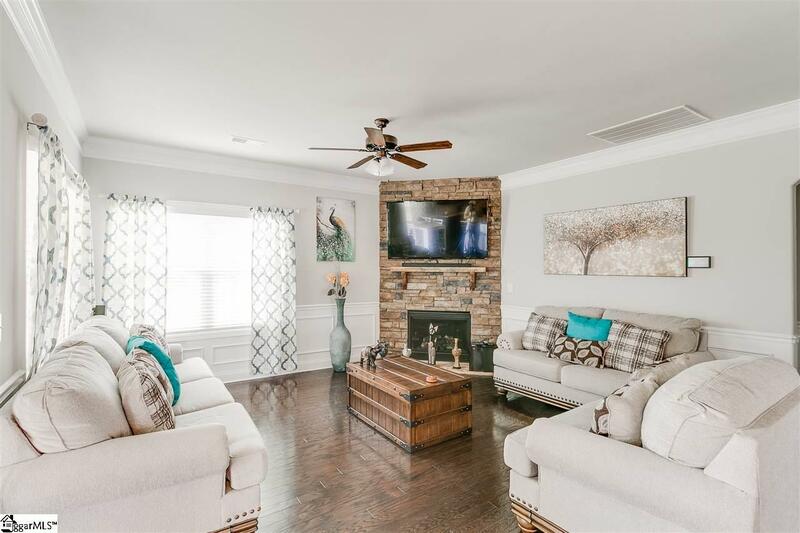 ft.) in this newly built community-The Manor at Abner Creek, offering a refreshing community pool and is conveniently located close to I85, BMW and GSP International Airport. 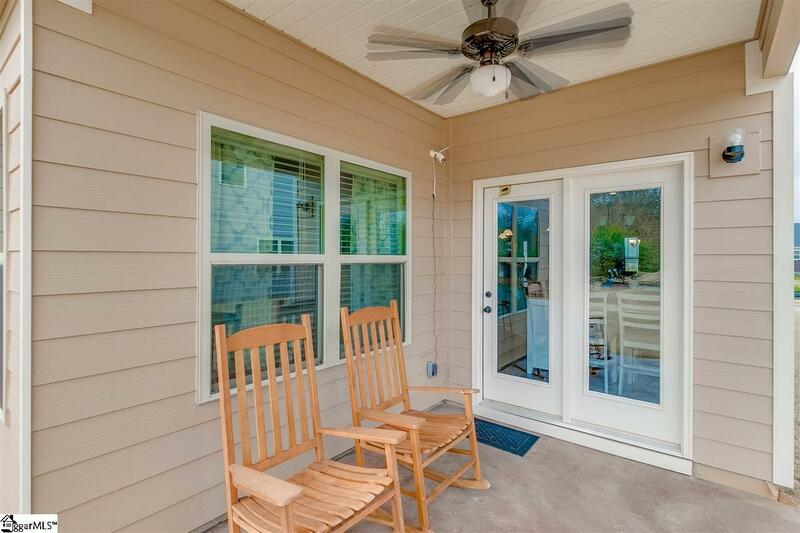 You are greeted with a cozy covered front porch that you can sit on while sipping your morning coffee. 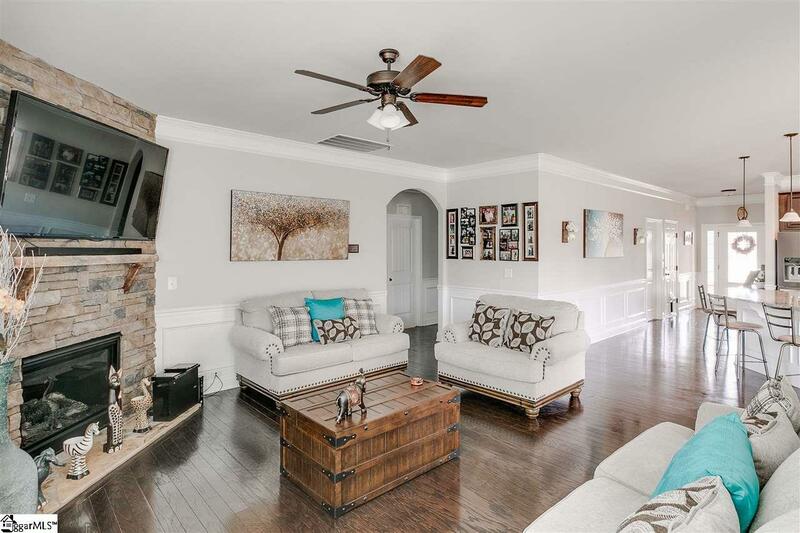 As you enter the foyer, notice the beautiful chair rail and picture frame molding, waincoting trim, throughout the entire living space. 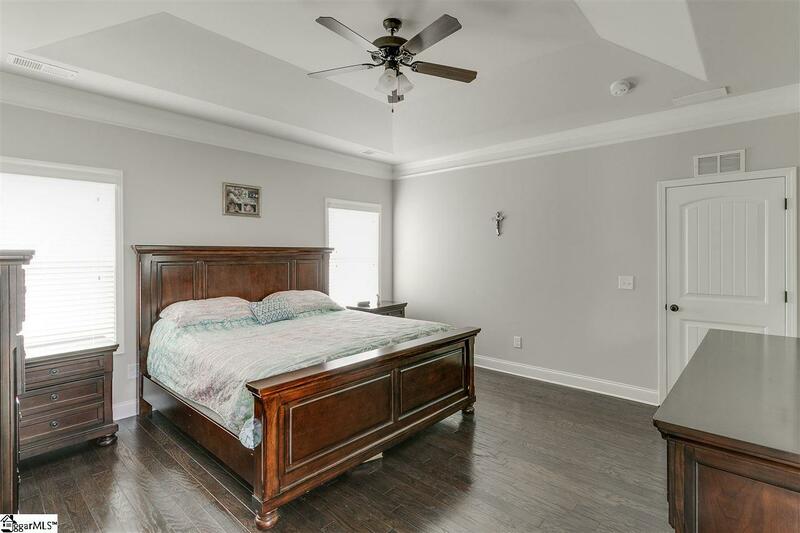 The owner removed the carpet and upgraded all bedrooms on main level with hardwood floors. 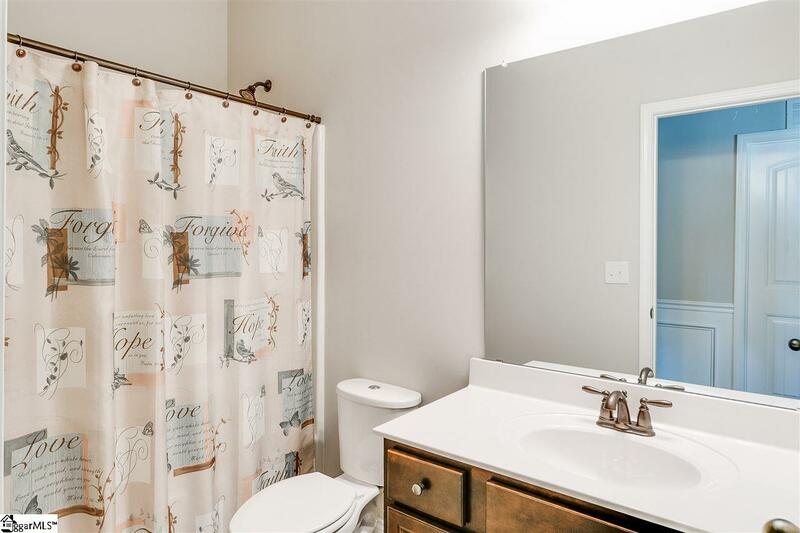 Ceramic tile in the bathrooms and laundry. 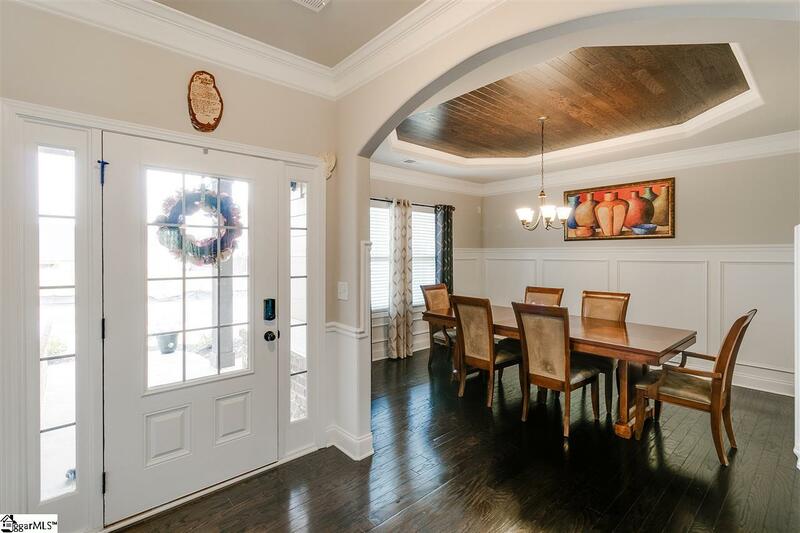 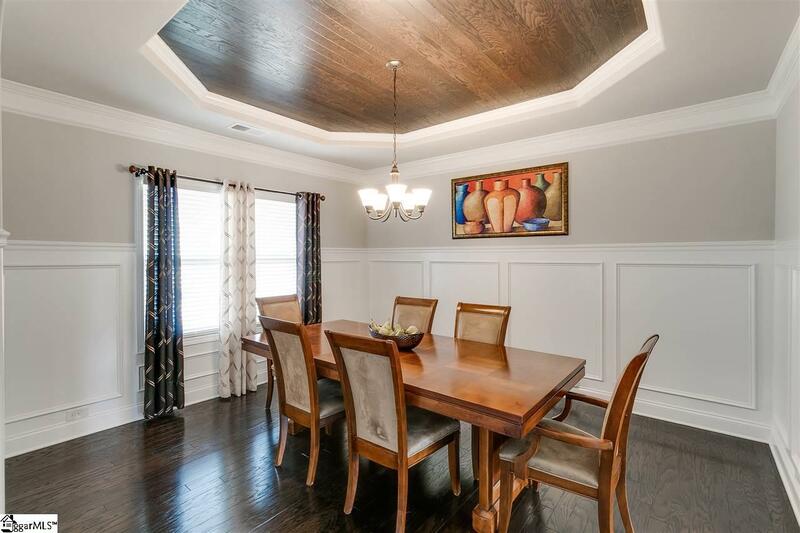 Step into an elegant dining room with arched entries and accented with a unique wood paneled ceiling. 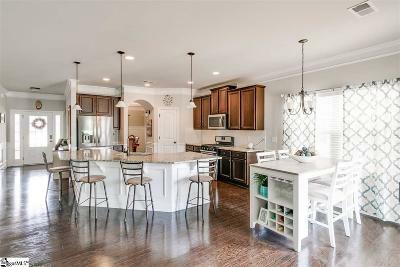 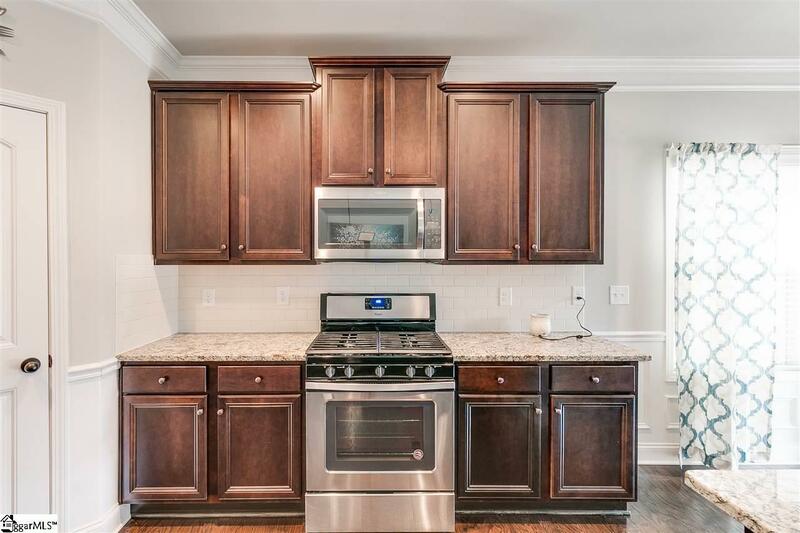 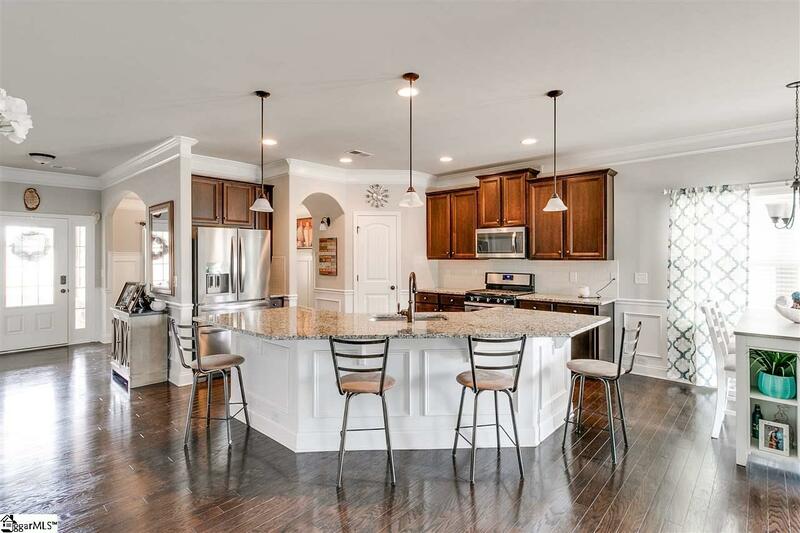 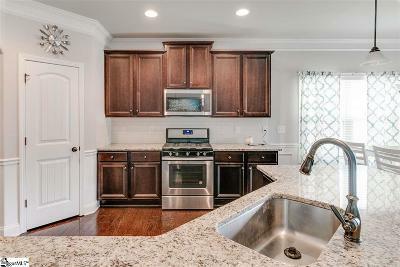 This gorgeous kitchen is complete with a center island, tall walnut cabinets, granite counter tops, stainless steel appliances, tiled backsplash, overlooking the great room and breakfast/dining area with lots of windows looking out to a peaceful, private level backyard and open patio. 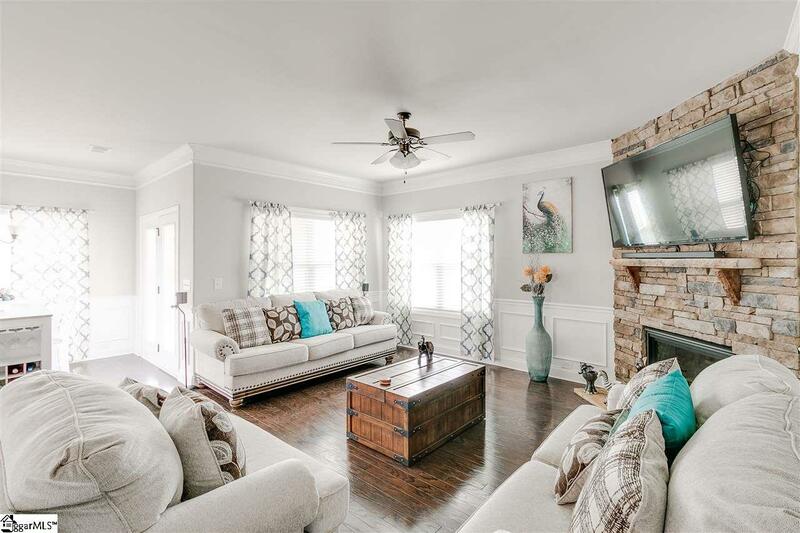 The den features a stone gas fireplace with a wall switch for quick start. 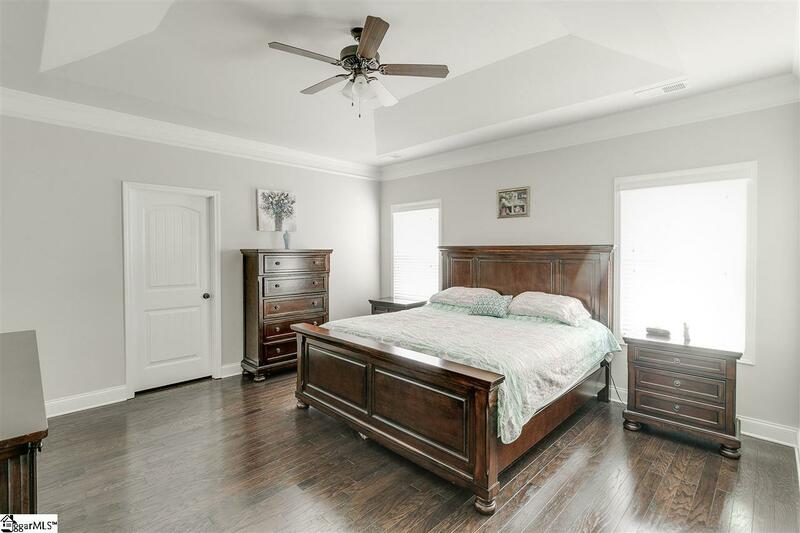 The master and two additional bedrooms are on the main level. 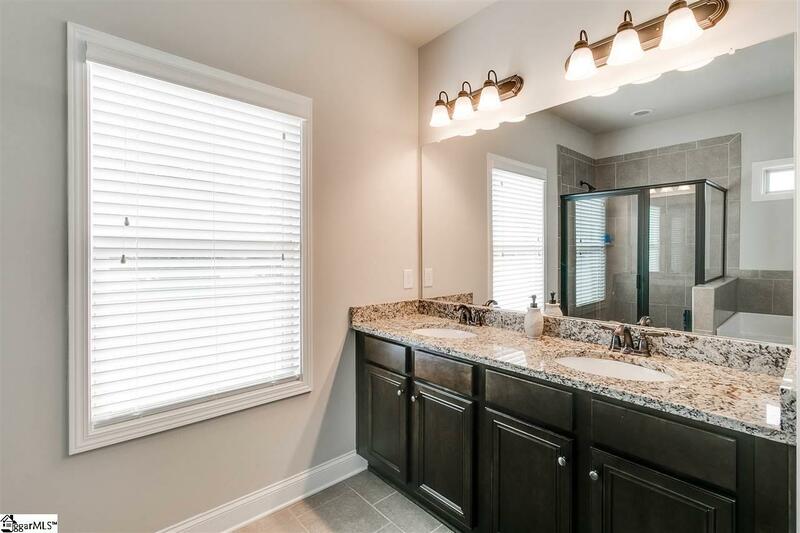 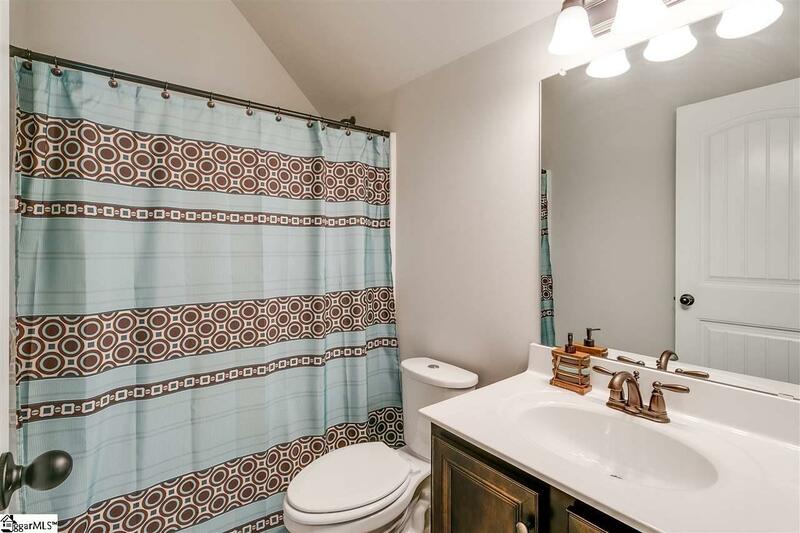 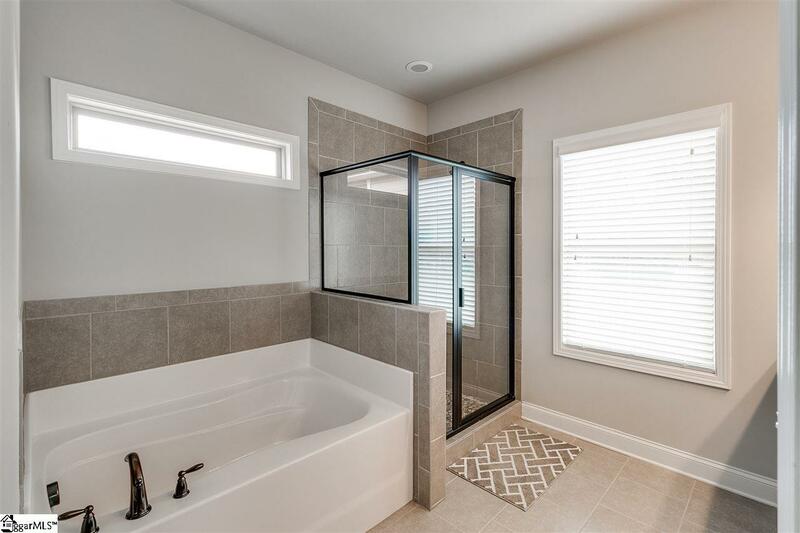 The master bath has dual sink vanity and a garden tub with a separate shower. 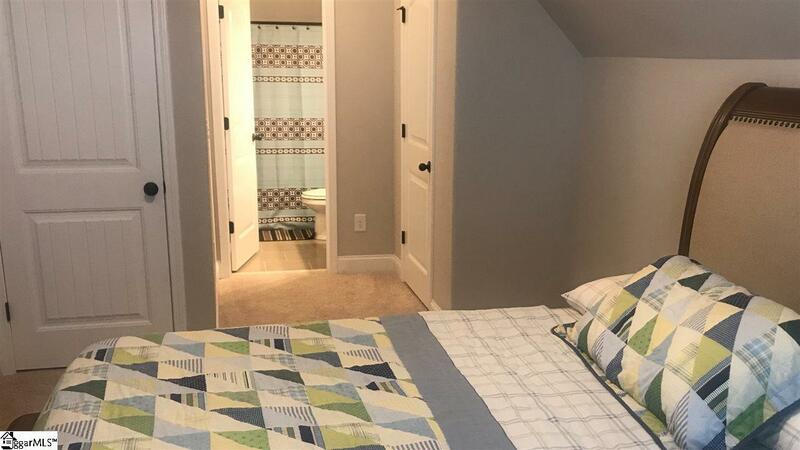 The 2nd and 3rd bedrooms have access to the hall bathroom with tub/shower. This floorplan just built in 2017 is loaded with many extra features including a tankless water heater. 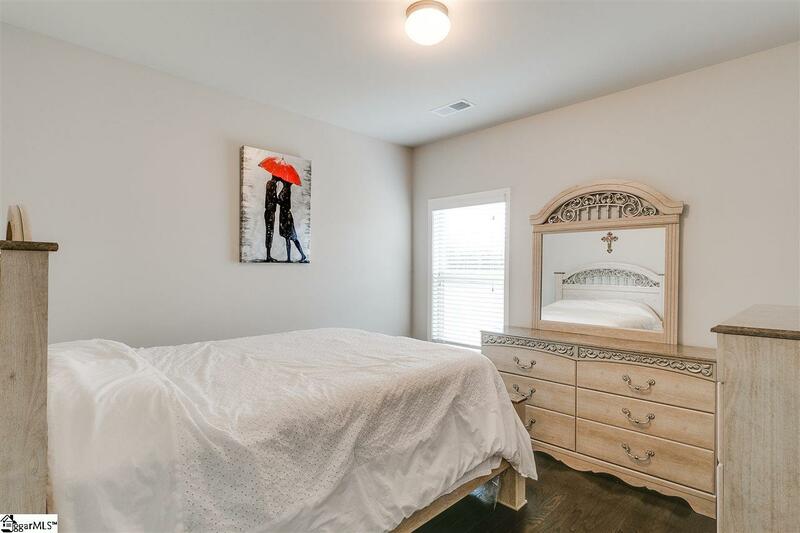 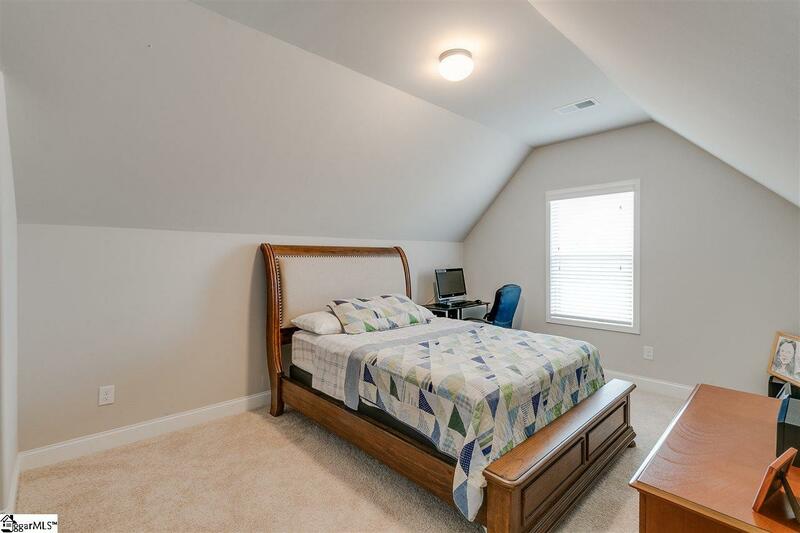 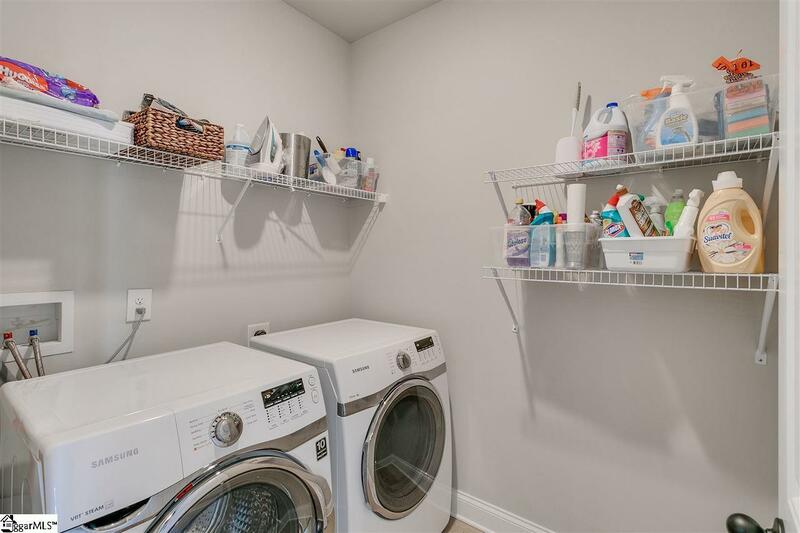 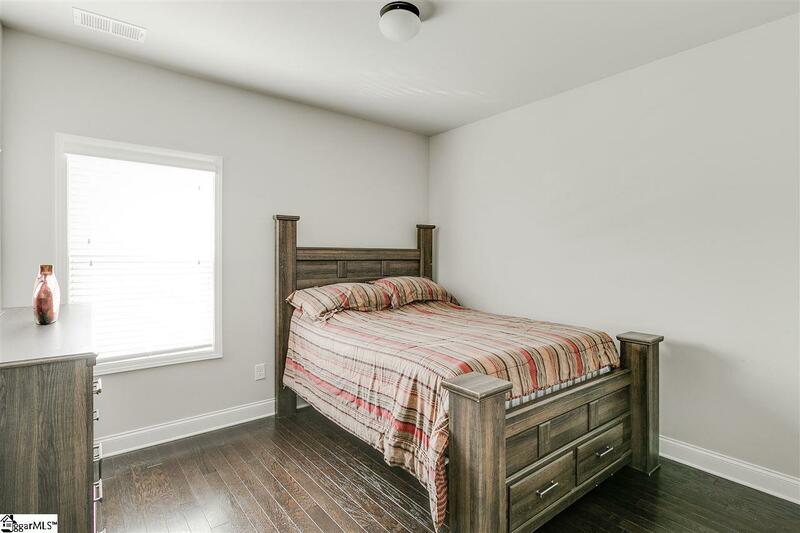 Upstairs offers a 4th bedroom/bonus room with a closet and full bath, tub/shower. 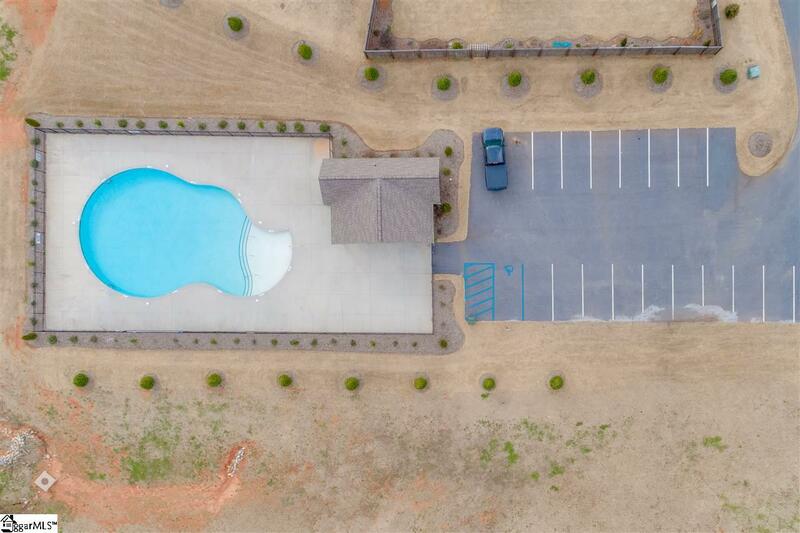 The 2018 taxes were based on the land only. 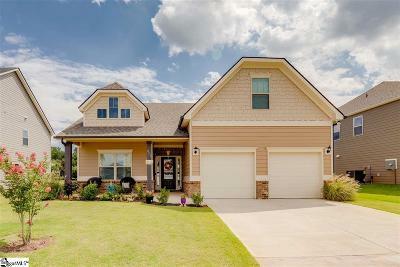 This house offers energy-efficient saving features saving money on utility bills: Spray foam insulation in the attic for energy saving and better health, Low E windows for 15% less heating/cooling costs, ENERGY STAR appliances for lower energy costs, CFL/LED lighting for about 75% less energy costs, Fresh-air management system for clean, fresh air circulation, 14 SEER HVAC helps save energy and money, PEX plumbing is more resistant to freeze breakage, Minimum Merv 8 filtration helps minimize indoor particulates CFL/Led energy efficient light bulbs. This one is a must see and won&apos;t last for long!